"Venes": Similar to the Bicol and Tagalog Regions' "laing", but uses dried gabi stalks NOT the leaves. 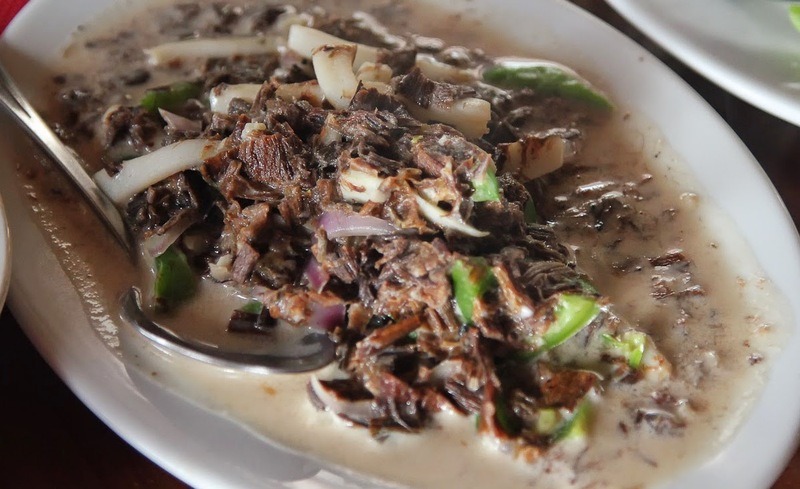 "Venes" is sauteed with coconut cream, but is cooked until the coconut cream is absorbed or almost dry. 1. Soak venes for at least 30 minutes and chop thoroughly. 2. Mix venes and kuyta. 3. Sauté garlic and add the kuyta mixture. 4. Simmer for few minutes then add the coconut milk and the coconut cream.